In Figurines > Show & Tell. 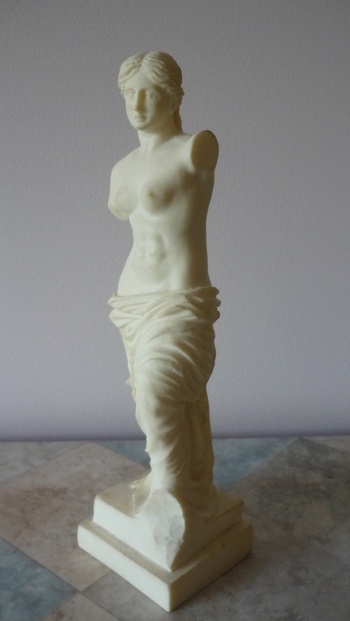 This little Venus de Milo figurine isn't made of marble or anything but to me that doesn't matter because I've always loved this statue. Ever since I was a child I've been fascinated by her and her use in many other forms of art and her influence on pop culture. We have a much larger version of her in our garden amongst the bushes where I think is a perfect place for her. I've looked for a tinier version of her for years so seeing this in a charity shop was a complete surprise. 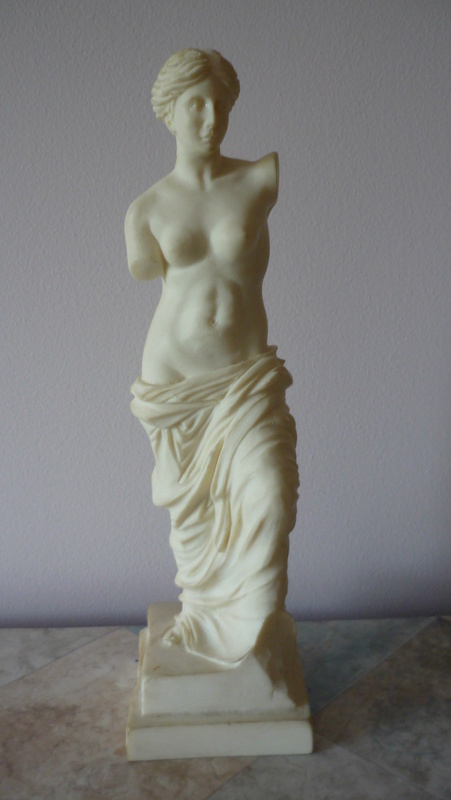 This version was spotted in a charity shop window just by chance and of course I took her, being what she is and one of the statues I've always wanted. 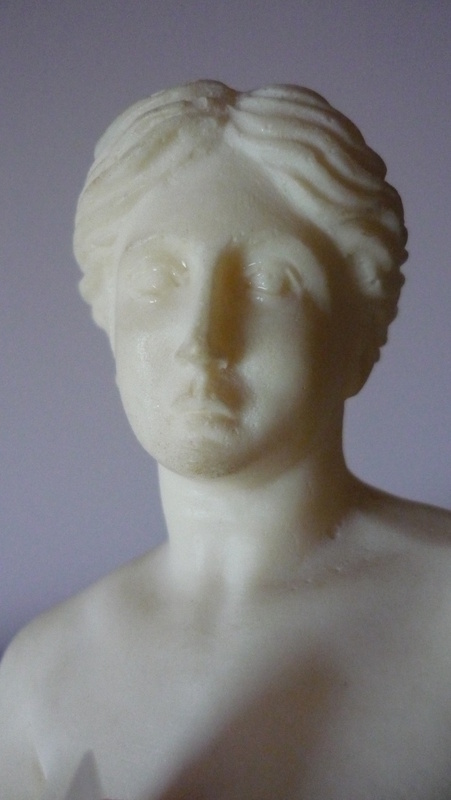 I presume she is made out of a kind of white stone rather like marble,as she is weighty and not a hollow cast. Santini used to make and were basically reproduction of old master statues and angels and made all their pieces which this resembles in poured resin. They were the first and still work. I remember seeing such at our department stores in the early 1980's. They were beautifully made, some signed.